Misanthrope's Thoughts: My Gmail Content instead of video in YoutTube... WTF?! My Gmail Content instead of video in YoutTube... WTF?! 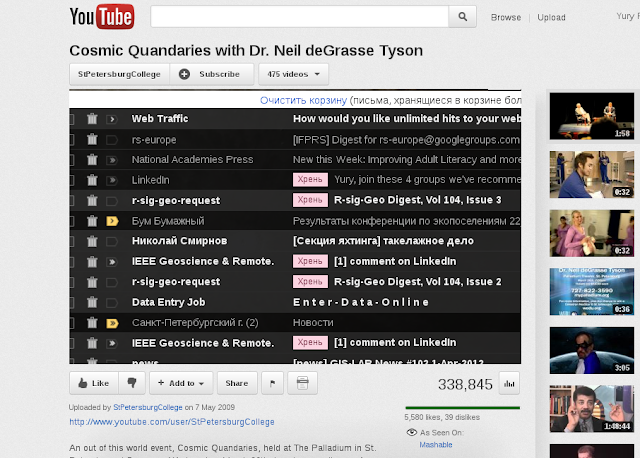 A funny snapshot of what I sow instead of video on YouTube - a part of my current page from Gmail! And if I change page in Gmail, the video frame content changes respectively. This thing happened when the PC turned on from the suspend mode (but it never happened before).